Publisher's Note: Products purchased from 3rd Party sellers are not guaranteed by the Publisher for quality, authenticity, or access to any online entitlements included with the product. Understanding tibio-peroneal occlusive disease and its management is vital in treating patients with peripheral vascular disease. Occlusive disease and the resulting ischemia threaten the viability of the lower limb, particularly in diabetics. Edited by widely-respected vascular surgeon Anton N. Sidawy, this textbook explores all aspects of tibio-peroneal disease, including pathophysiology, diagnosis, treatment, and management of the lower extremity after adequate circulation is restored. It examines risk factors, disease distribution, and general management issues connected with diabetic patients, as well as adjuvant chemotherapy to improve patency of prosthetic bypasses, thrombolytic therapy for failed bypasses, wound healing, and amputations of the foot and leg. Understanding tibio-peroneal occlusive disease and its management is vital in treating patients with peripheral vascular disease. Occlusive disease and the resulting ischemia threaten the viability of the lower limb, particularly in diabetics. Edited by widely-respected vascular surgeon Anton N. Sidawy, this textbook explores all aspects of tibio-peroneal disease, including pathophysiology, diagnosis, treatment, and management of the lower extremity after adequate circulation is restored. 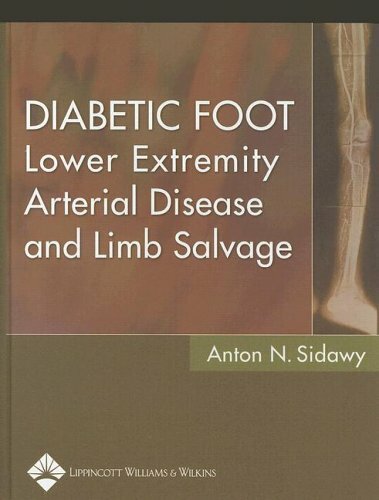 It examines risk factors, disease distribution, and general management issues connected with diabetic patients, as well as adjuvant chemotherapy to improve patency of prosthetic bypasses, thrombolytic therapy for failed bypasses, wound healing, and amputations of the foot and leg.